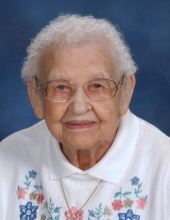 Elizabeth Rose Bulver, age 90, died on April 1st, 2019 at Ravenwood Specialty Care in Waterloo, Iowa. She was born September 1, 1928 at Independence, Iowa the daughter of John Francis Weber and Alice Rose Moore Weber. She was married Donald Wilton Bulver on June 20, 1949 at St. Joseph’s Catholic Church in Independence. She attended St. Joseph’s Grade School and graduated from St. John’s High School in 1947, both in Independence. She was also employed at the University of Northern Iowa as a lead custodian in one of the dormitories, retiring in 1991. She also worked at Blessed Sacrament School cleaning classrooms for 25 years. After retiring from UNI, she cleaned Blessed Sacrament Church, the Parish Center and School for 10 more years, retiring from there in 2001. She then took care of her son Ronald for six months until his death on March 17, 2002. She was a longtime member of Blessed Sacrament Church. She is survived by one son, Randall (Janell) Bulver of Ankeny; 8 grandchildren, Julie, Stephanie, Eddie, Taylor, Nic, Libby, Aly and Brady; 7 great grandchildren; and a daughter-in-law, Becky Bulver of Waterloo. She was preceded in death by her husband; 2 sons, Ronald and Roger; 2 sisters, Dorothy Nissen and Gladys Meyers; 4 brothers, Donald Weber, Laverne Weber, Francis Weber and Bernard Weber. Funeral Services will be 11:30 am Wednesday, April 10th, 2019 at Blessed Sacrament Catholic Church with burial in Mt. Olivet Cemetery. Public visitation will be for one hour prior to the funeral at the church on Wednesday. Memorials: may be directed to Blessed Sacrament Catholic Church. Elizabeth enjoyed cooking, sewing and crocheting, making clothes and especially afghans. She continued making afghans for her children and grandchildren even after her stroke later in life. Following her stroke, she resided at Ravenwood Specialty Care for the last 3 years. She always enjoyed visits from her children and grandchildren. To send flowers or a remembrance gift to the family of Elizabeth Rose Bulver, please visit our Tribute Store. "Email Address" would like to share the life celebration of Elizabeth Rose Bulver. Click on the "link" to go to share a favorite memory or leave a condolence message for the family.